GlaxoSmithKline Consumer Healthcare Ltd (GSKCH), in a presentation made to analysts last week, said it is on track to achieve its target of doubling turnover between 2007 and 2011. 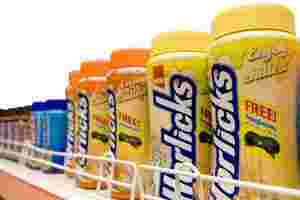 It overcame the limitation of a disproportionate amount of sales coming from one category, health food drinks, and within that from one brand—Horlicks. It achieved this with the help of variants, extending the brand into new categories such as biscuits, nutritional bars and noodles, and also launched a low-priced malt drink for the rural markets. Now that 2011 is drawing to a close, what next? The company has not outlined any specific sales growth target, but points to its low market share in some markets as a growth opportunity. In the south and east, its market share in health food drinks is 75% and 78%, respectively; But, it is relatively lower at 34% and 23% in the northern and western markets, respectively. It sees a big opportunity in rural markets, where health food drinks’ penetration is only 11% compared with 40% in urban markets. Growing income levels and low awareness present an opportunity, according to GSKCH. In the near to medium term, normal market growth, contribution from relatively newer products, and higher penetration in the west and north should add to sales growth. For the moment, the company is perched in a comfortable spot. Sales are chugging along at a healthy rate, and inflation in its chief raw materials is less threatening than it was a year ago. In the September quarter, its sales rose by 17% year-on-year and operating profit margins increased by nearly 1 percentage point. Investors will be keeping an eye out for cracks in its sales growth, given the risk of a high base effect, which may bring its expensive valuations into focus. The stock trades at 29 times its 2011 earnings per share (EPS), and 25 times its 2012 EPS, based on Reuters’ consensus earnings estimates.